Why don't Chinese manufacturers invest in translation for their manuals? Why don’t Chinese manufacturers invest in translation for their manuals? Congratulations! You made it! You have successfully dealt with your Chinese supplier and received what seems to be the top-quality equipment you were looking for. You avoided all the common faux-pas, only to find out you missed one critical point…the unreadable English user manual delivered with the product. Indeed, when it comes to Chinese manufacturers, and especially with technical products, it is quite common to end up with poor-quality documentation. Chinese factories prioritize their margins, and the value given to documentation will vary according to the product, the company’s size, and even the industry. A small or medium size manufacturer is less likely to treat a user manual as an essential part of the product, instead focusing on how to maximize profits by cutting costs. Price and quantity invariably prevail as the main concerns. Manufacturers’ business models can also impact the quality of their manuals’ translations. A number of Chinese factories work as Original Equipment Manufacturers (OEMs), developing parts or all of products to then sell to another company that will distribute them. With such a model, it becomes too expensive for OEMs to invest in professional translation services for each of their various products. In lower-margin product scenarios, where the market is usually more competitive, there is no point for manufacturers to engage in costly translation or proofreading expenses. You will most likely have to deal with machine-translated manuals, or the dubious translations offered by non-native speakers. On the upside, the translation industry itself is growing in China, and Chinese companies are gradually understanding the value of professional translation. The Chinese government has even officially committed to supporting the country’s language industry infrastructure. Alongside the One Belt One Road (OBOR) trade initiative involving more than 60 countries, the Chinese authorities have identified the language services industry as a key driver of its national economic development strategy. Still, on the ground, the demand for quality translation is high while the supply side fails to meet it. Many Chinese companies would rather opt for in-house translation by local employees with “very good” English and lacking translating competencies. These companies may also call upon Chinese students of English or other language program graduates to translate their manuals. Another cost-saving trick to be aware of is the use of machine translation tools (Baidu or, at best, Google Translate) before having the resulting documentation proofread. Technical writing and translation require a lot of work, and experience of both languages’ cultures and sense of the product. Meanwhile, these companies allocate a small budget for translation and give their translators tight deadlines. Even when they contract translation agencies, they tend to choose the cheapest ones without native English speakers. As a result, in most cases the output is a poor-quality translation not accurate enough to offer a complete sense of the product. The status of the translation industry is slowly evolving, and fortunately translation quality is improving as more companies expand internationally. Global Chinese companies like Huawei, Alibaba, Didi, and DJI have understood the value of quality documentation, even when working with OEMs. This is why they have all chosen to use CSOFT’s Global Communications services. It will take time for all or even a majority of Chinese manufacturers to start providing well-written English manuals. To avoid unwanted surprises, you need to understand who you are dealing with and in what context. While going through the ordering process, be sure to emphasize the importance of quality documentation translation. Though it may seem like an insignificant detail of the production process to the manufacturer, you can make clear that it essential for you. One approach is to ask who will be in charge of the translation and request a translator profile, as well as references. Do not hesitate to be inquisitive, but also understand that even with these precautionary measures there may be no guarantee you receive the best quality. At this point, when sourcing in China as an international buyer, you have to assess how important documentation is for your business. If the manufacturer cannot provide a worthy guarantee of the translation quality, you may want to consider appointing a professional translation provider to take care of it for you. You can ask that the manufacturer provide you with its original or “translated” documentation to then entrust to a more qualified agency. 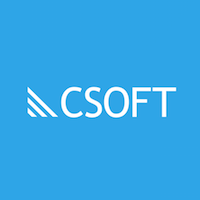 At CSOFT, our Global Communications team of expert translators and writers is fully qualified to help you address these translation issues. Our native Chinese and English-speaking team members are here to ensure you receive the highest quality documentation for your manual, user guide, or content.